Within minutes of starting this game I knew it was going into my favorites. I love a good rhythm game, especially if it has a unique twist. This one definitely does. You're trapped in a crypt and have to do all of your dungeon crawling actions to the beat. It sounds difficult and like it wouldn't work, but it does. It's so much fun. You need to see it in action. It's still in early access at the moment but I can see myself putting a lot of time into this game as it develops further. It's going into my favorites so I can play it regularly. Another rhythm game. This time I was much less impressed. It's not doing anything unique, it's just skinned to look interesting. Your character attacks enemies to the beat using martial arts moves. It looks kind of cool for the first few minutes but that's it. This could easily have a different look and feel but be the exact same rhythm game. I would much rather play something that actually does new and interesting things like Crypt of the Necrodancer. I remember trying Scribblenauts on a friend's handheld console once and thinking it was semi-amusing. I had this version sitting in my Steam library, so I actually got to play the game for awhile. The main thing I remember on handheld is how bad the controls were. Luckily, that has been fixed in this PC version. 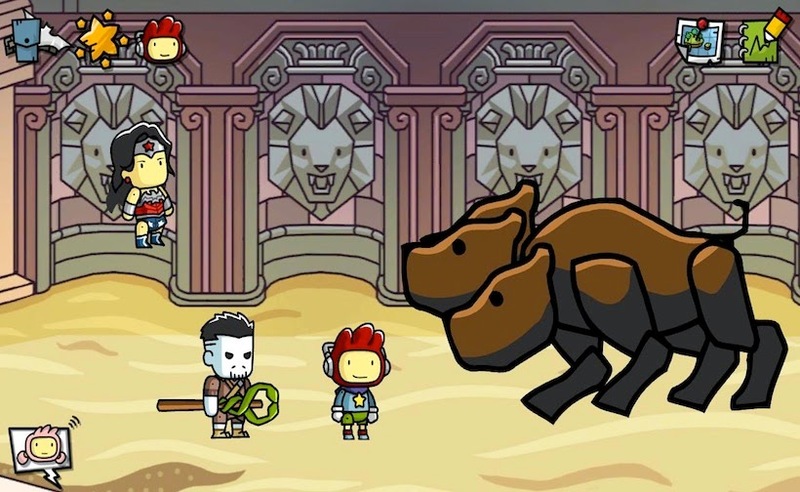 Scribblenauts gives you a magic notepad and lets you go wild. Anything you can type (and spell correctly) you can create and use in the world. You use this power to solve objectives. It's pretty impressive how many objects their game engine understands and can create. It's not a game I could play in long sessions, but it's fun for five or ten minutes at a time.